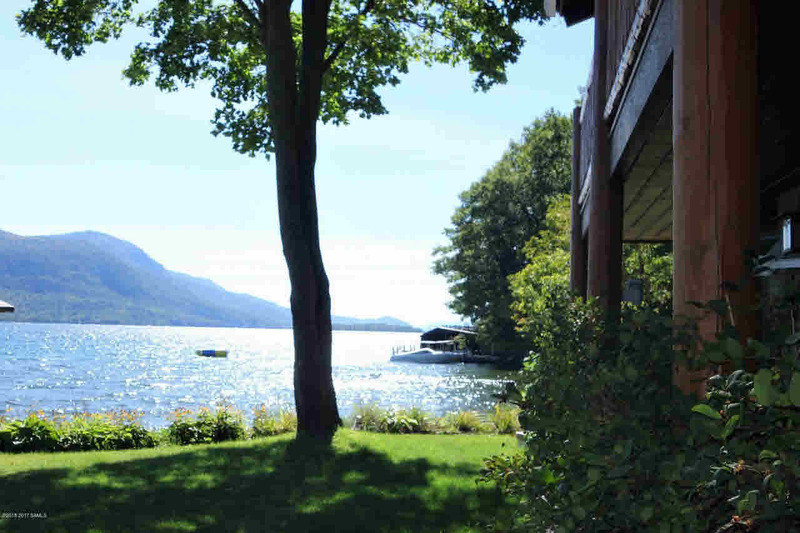 Enjoy easy lakefront living on the shores of Lake George in this completely renovated custom home. Step out of the main living area onto a perfectly level lawn only feet away from the water's edge to a nice sandy beach area for swimming and a 40 ft crib dock for your boats. The log home features 3BR, 1.5BA, a custom kitchen w/ granite counters & new appliances, an ADK stone gas FP and a lakeside covered 2nd story porch running the entire width of the house. Located in Sabbath Day Point only a 15 minute drive north of Bolton Landing, minutes from Silver Bay YMCA and the charming lake side town of Hague, and 30 minutes from Gore Mountain Ski Center.